Here's a guide to buying or making inexpensive windows that will open and close to keep your chickens cooler during summer and warmer during winter. My experience working outdoors for almost 40 years has taught me at least one thing: Anything outdoors with fragile or moving parts will eventually need to be repaired. How long have your sprinklers lasted? Do you have any gate latches that don’t work? You see my point. This brings us to glass windows that open and close. Windows combine fragility and moving parts. (Avoid this combination with outdoor structures if you can.) My own house is settling very slightly, and every few years, we have to replace a couple cracked panes in an expanse of casement windows. Some settling or an out-of-square opening on a coop can make window sashes difficult to move. In most parts of the country, hens will be fine without real coop windows. Just cut a few openings in the coop walls to allow ventilation and cover them with hardware cloth secured with screws to keep predators out. But if you live in a region where winter nights routinely drop to sub-zero temperatures, then you might want windows you can close in the winter and open in the summe—one on each side for a breeze. If the windows come with screens, that’s better. Depending on how determined your local predators are, you might still attach a layer of hardware cloth behind the window, as some predators are strong enough to rend chicken wire or a simple mosquito screen. Movable windows from the big-box stores can be expensive, but basement windows cost less—maybe $25—and work fine. They don’t have a sash that slides up and down like conventional windows. Instead, the whole window folds out, like a partially open oven door. If you go this route, install the basement window upside down. This way, rain won’t blow into the coop when the windows are open. Of course, why you would buy new windows when you can get used ones via Craigslist or Freecycle.org? Some of these might have wooden frames or aluminum, and they might also have glass or more durable plastic sheets made of acrylic, lexan or polycarbonate, such as Plexiglas. The material determines how clear, stiff and expensive your window will be. Any of these will work fine, so choose based on your aesthetics or your budget. If you do buy a used window, close one eye and with the other, look down the length of each edge of the window to make sure it’s free of cracks, bends or dings that would make it difficult to open or close. Handy henkeepers can make a working window with a few bits of lumber, a piece of Plexiglas, a couple of hinges and a screen-door hook. Scrap pieces of wood cut down to 2-by-2s or 1-by-4s and screwed together will work. It doesn’t have to be rot-resistant wood because the roof will keep it mostly dry. Build the frame to fit snugly inside the opening if you’re a pretty good carpenter. If you’re a not-so-good carpenter, build it to cover the outside of the opening like a flap. Precision is not required. With your window frame in hand—or at least the dimensions written down—head to a hardware store or big box store that sells Plexiglas. It costs about $2 per square foot. Some stores will cut the plastic sheet to size for you. They also sell a specific cutting tool for a few dollars, so you could also cut it at home. But a thin pane of Plexiglas can be scored and snapped on a line made with a box cutter. A power jigsaw will also cut any thickness of Plexiglas. Make sure to wear a dust mask so you don’t breathe the plastic dust. A layer of masking tape put down before you mark the cut will keep the saw from leaving a ragged edge. With your window frame built and your pane cut to size, lay it on the frame. Drill a pair of holes on each edge of the pane. Make the holes wide enough for a short wood screw to slide through them and bite into the wooden window frame. You can take an extra step and put a bead of exterior-grade caulk around the edge of the pane. Then it’s just a matter of attaching the hinges on one side so the window swings open like a cupboard door and is closed tightly by the screen door hook on the opposite side. Thus you have an inexpensive window that can be opened for a breeze in summer and closed to hold the warmth come winter. It might not be airtight, but you do want some air to move through the coop to keep ammonia from building up, so that’s OK. Slap a piece of hardware cloth over the inside of the opening to keep critters at bay. How Much Cooling Do Chickens Need? 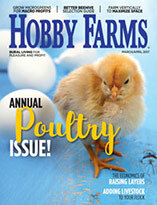 New chicken keepers often ask whether their birds will need help staying cool in summer. My first answer is to ask what they think those poor chickens did before the invention of electricity. By not running a fan in summer, you save on your electric bill and reduce the likelihood of a short or a fire that can come from running power cords outdoors for long periods or from rambunctious birds messing with your appliances. So as summer temps rise, refrain from adding any kind of electric fan to your backyard coop. Yes, chickens warehoused in large chicken operations need fans to keep cool because there is too much body heat in too small a space. But for backyard and small flock keepers, this shouldn’t be an issue. If the birds have 3 to 4 square feet of floor space in the coop, and if there’s about 1 square foot of ventilation per 10 birds, they’ll be fine. Specifically, if you’re a semi-skilled carpenter and built the coop yourself, the pop-door is open during the day and you have two or more openings that are covered with hardware cloth to keep critters out, you’ll have enough openings and air leaks to allow hot air to rise and leave the coop and keep your hens cool enough during the day. Also, chickens—and all birds—have a much higher body temperature than humans so they can tolerate higher temperatures better than we can. 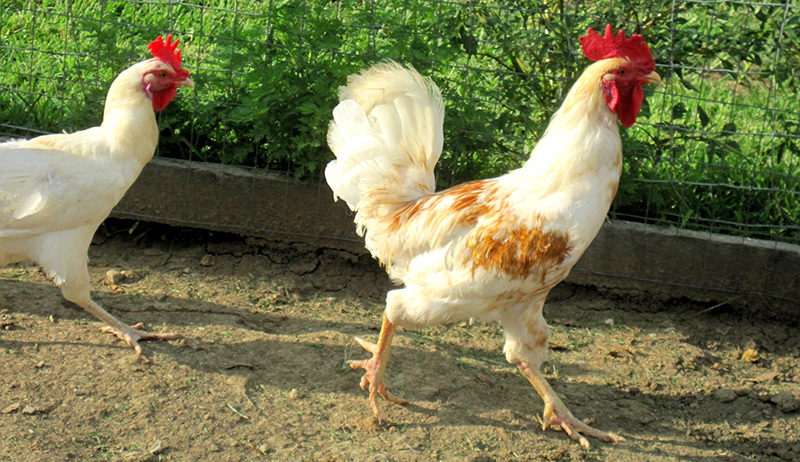 After all, chickens are descended from jungle fowl. What’s more, they have a layer of feathers that reflect the radiant heat of the sun, and their feet and combs are designed to release excess body heat. Bottom line? 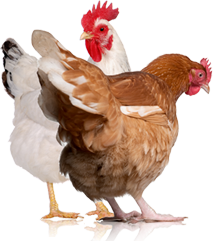 Forget the time, cost and trouble of providing an electric fan for your chickens. Instead, expend that effort on something they really want, such as a chicken swing. 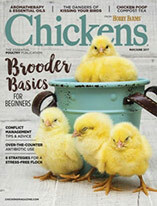 This article originally appeared in the May/June 2017 issue of Chickens.